1. 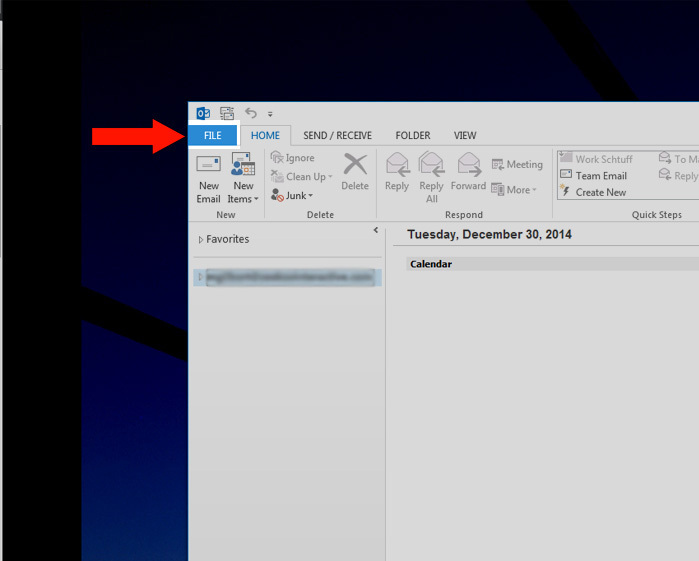 Open Outlook and click on the "File" button in the top-left corner of the window. 2. 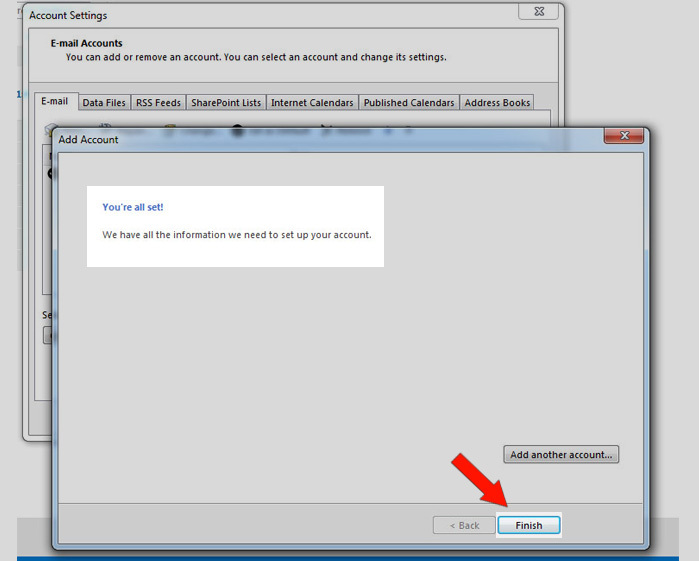 The window will shift and show the "Account Information" section. 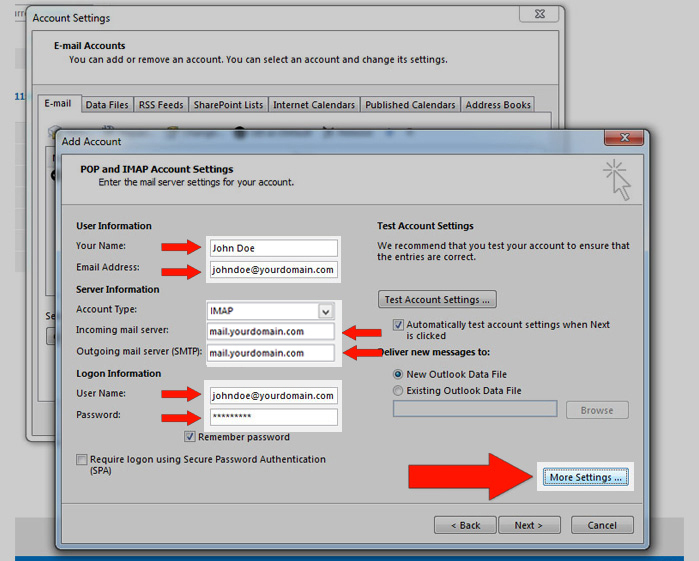 Click on the "Account Settings" button and click on the option that says "Account Settings...". 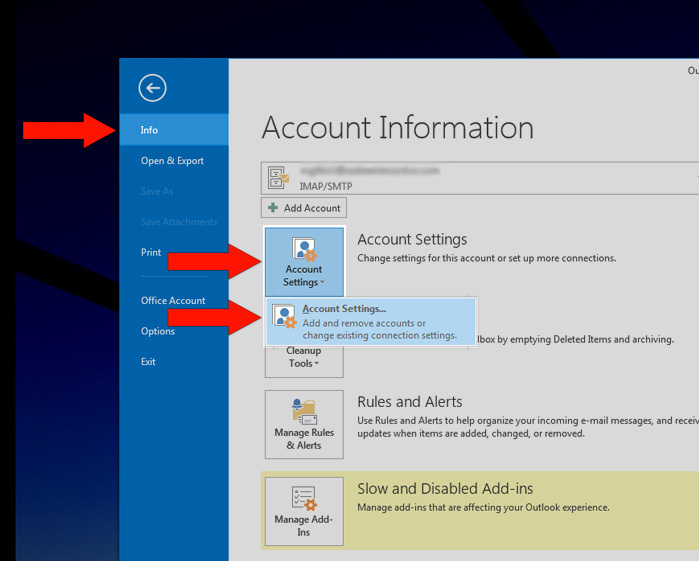 A new window titled Account Settings will appear. 4. 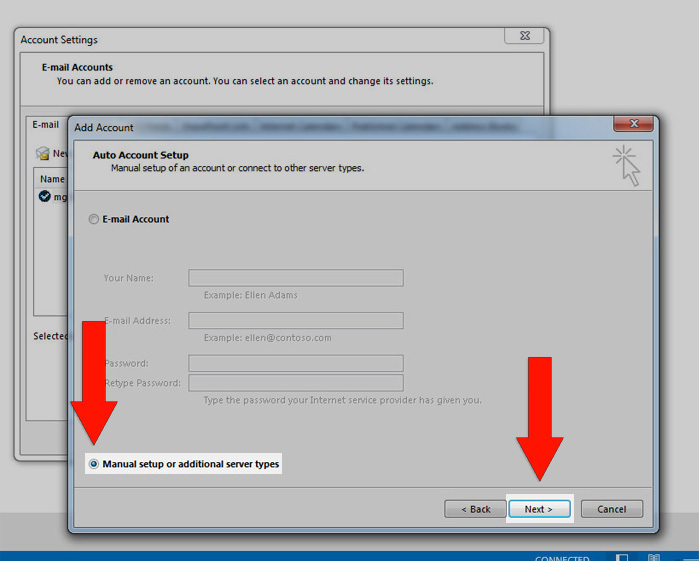 Click the radio button that says "Manual setup or additional server types". 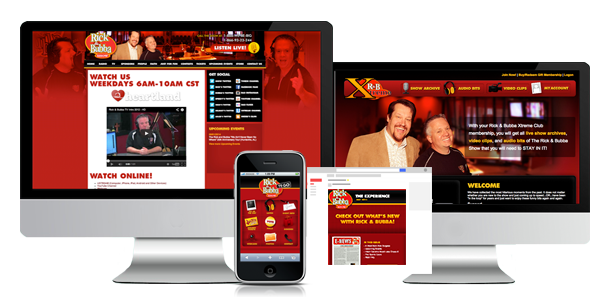 Click "Next"
5. 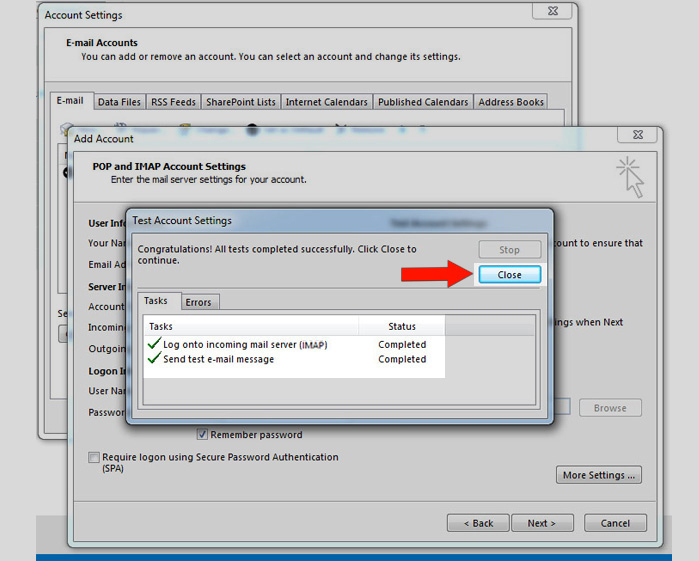 Click the radio button that says "POP or IMAP". Click "Next"
6. 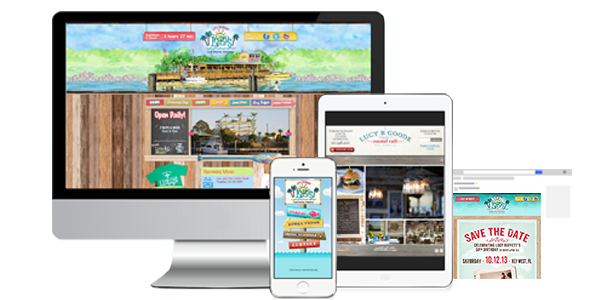 Fill out your User Information with Your Name and Your Email Address. 8. 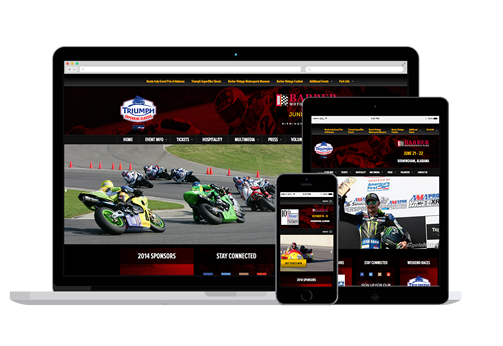 Fill out your Logon information with your User Name and your Password. 10. 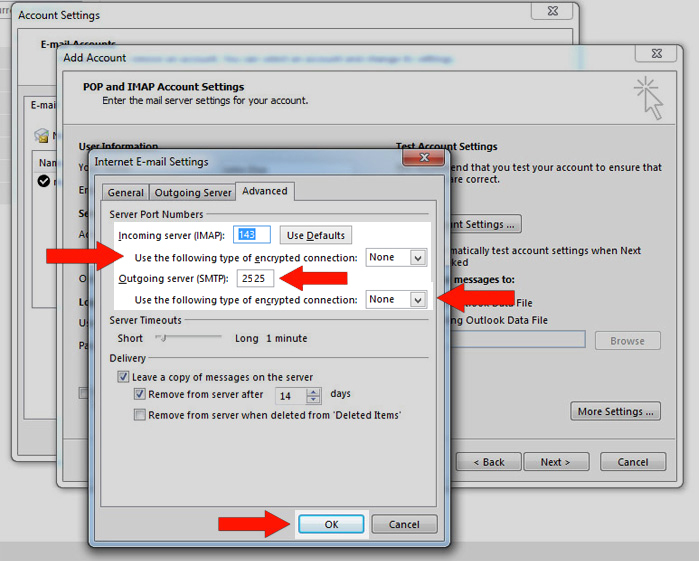 A new window will appear called Internet E-mail Settings. 11. 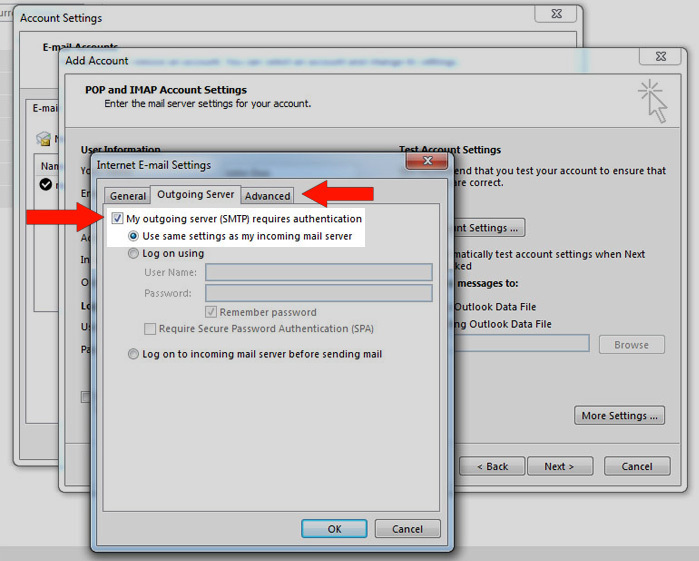 Click the Outgoing Server tab, and check the box that states "My outgoing server (SMTP) requires authentication"
12. 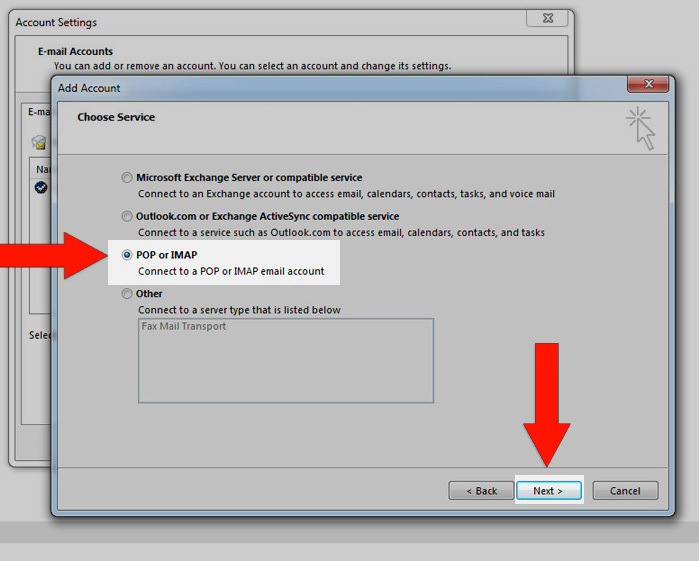 Click the radio button that says "User same settings as my incoming mail server"
14. In the Advanced tab, check the box that says "This server requires an encrypted connection (SSL)"
16. 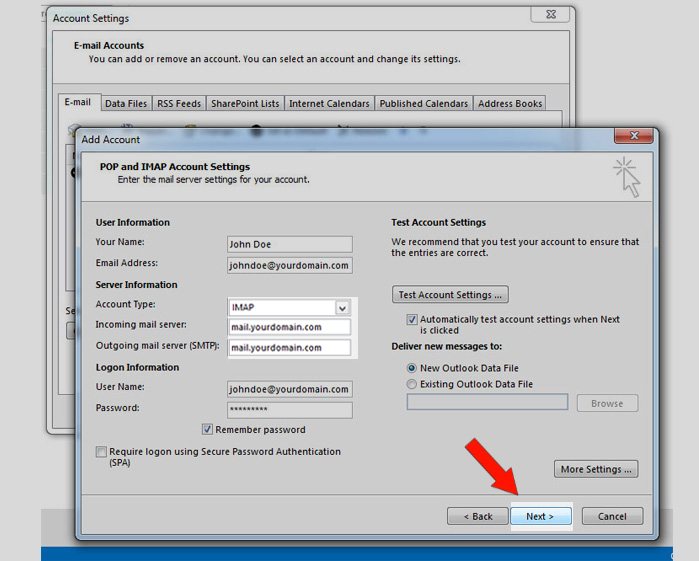 Select None in the drop down titled "Use the following type of encrypted connection". 19. Wait for the new window to run a few tests. 20. Once you receive two green checks, click "Close"
21. Congratulations! 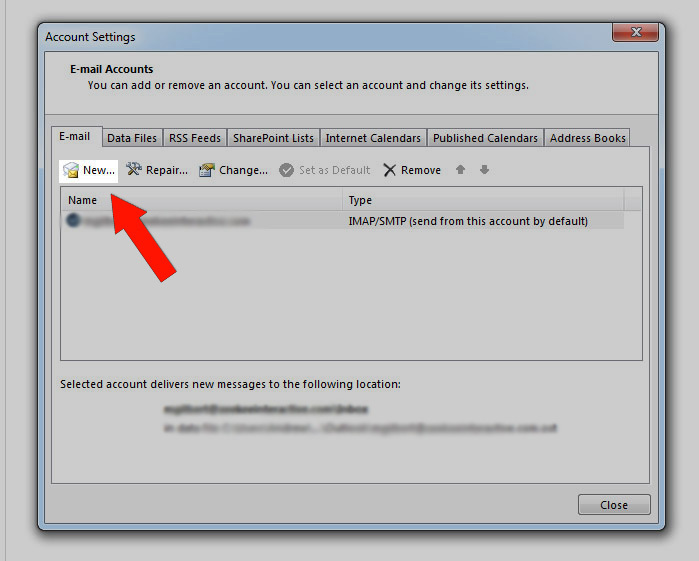 Your email is now set up on Outlook 2010 or 2013. Click "Finish" and you're Done!